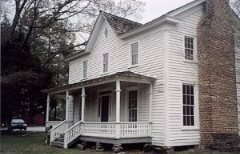 Since acquiring a lease to occupy the Wynne-Russell House, the Lilburn Community Partnership created the Wynne-Russell Preservation Board to oversee the operation, maintenance, and repair of the house. The house, which was built in 1826, is on the National Historic Registry. The home has been updated with modern amenities, such as air conditioning and heat, and can be used as a meeting and event facility year round. The home can hold up to 50 people, approximately 30 people with tables. Visit www.wynnerussell.com for volunteer, rental, and event information. If you are interested in volunteering on the WRH Preservation Board to maintain Lilburn history through this historical house, contact us at info@lilburncp.com. Limitless Automotive Service is a new full-service automotive shop located right here in our city of Lilburn. Our goal here at Limitless Automotive is to service the community with quality work for an outstanding price. We are open seven days a week, Monday-Saturday 9a.m. to 7p.m. and Sunday 9a.m. to 5p.m in order to supply the community with a time convenient for them. Please feel free to give us a call at (470)359-6947 or stop by to the find out the Limitless possibilities here at Limitless Automotive. Located at 4418 Lilburn Industrial Way, Bld B, Lilburn, GA 30047. We are currently open for business, but we will be having our Grand Opening event Saturday, July 15th at 5:00p.m. for everyone to come and enjoy! We are so happy to be here and look forward to servicing the community! The Lilburn Lions Club would like to invite those interested to attend meetings the second Thursday of the month at noon at the Taste of Paradise Restaurant located in the Market Place Shopping Center at 4805 Lawrenceville Hwy. in Lilburn (intersection of Indian Trail Rd. and US 29) or information on Lion's Club International, please follow this Facebook LINK. This Bulletin Board is designed for community announcements. You may also use it to post notices regarding pool memberships, soliciting members for sports leagues, or advertising garage or yard sales. To post your information, please fill out the form below.